Acura’s flagship sedan never was a sales success. Although it’s technologically advanced, the RLX—and even its predecessor the RL—has trouble getting noticed with its ultra-conservative styling. For the 2018 model year, the luxury brand is shaking things up by giving the car a more striking look. 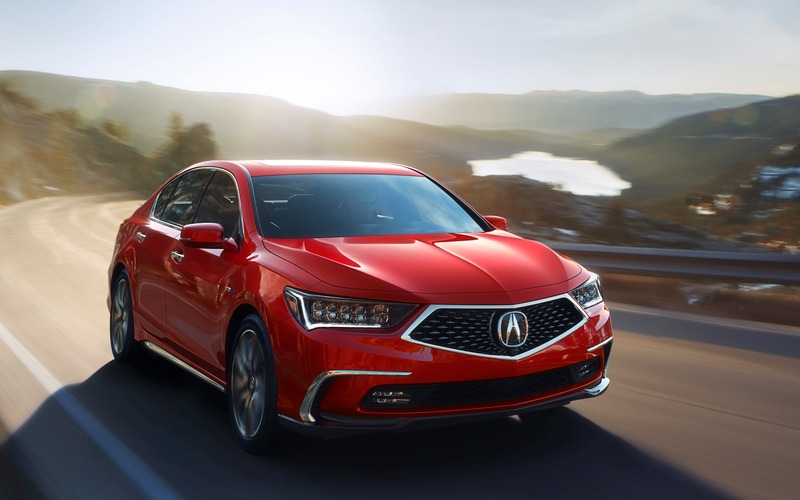 Its front end was redesigned, inspired by the styling of the equally refreshed 2018 Acura TLX sedan. Its new pentagonal grille and new hood design makes the car definitely more visible and attractive. New styling cues can also be found on its rear end as well, and new paint colours have been added as well. Two versions of the 2018 Acura RLX will be offered in Canada. The base trim, which starts at $65,490 before freight and delivery charges, is equipped with a hybrid powertrain that consists of a 3.5-litre V6, three electric motors as well as a seven-speed, dual-clutch automatic transmission. In addition, the car benefits from all-wheel drive. The RLX boasts a combined output of 377 horsepower and 341 pound-feet of torque, while its combined fuel economy average is rated at just 8.1 L/100 km. Priced at $69,990, the Elite version adds a 14-speaker, Krell surround sound system, front and rear park sonar, a power rear window sunshade, rear side window sunshades, a surround-view camera system and ventilated front seats. Besides the Ebony and Seacoast (beige) leather upholstery, the redesigned seats can now be trimmed in Saddle Brown leather. The 2018 Acura RLX is now on sale in Canada.